At Glass & Stainless we have a reputation at delivering excellent quality and our bespoke glass service is no different. 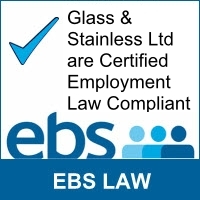 Glass and Stainless Ltd offer bespoke glass & stainless steel products including glass balustrades, glass shower units, glass sliding door systems & glass partitions. Get in touch to see how we can help.